This low-priced economical unit is ideal for long-time observation without entering the room but to listen into it from the outside through solid structures. Where the human ear is inadequate PKI 2850 makes audible what has previously seemed impossible. The pocket-sized unit can perfectly be body-worn and whenever needed it will be at hand for quick and easy installation. 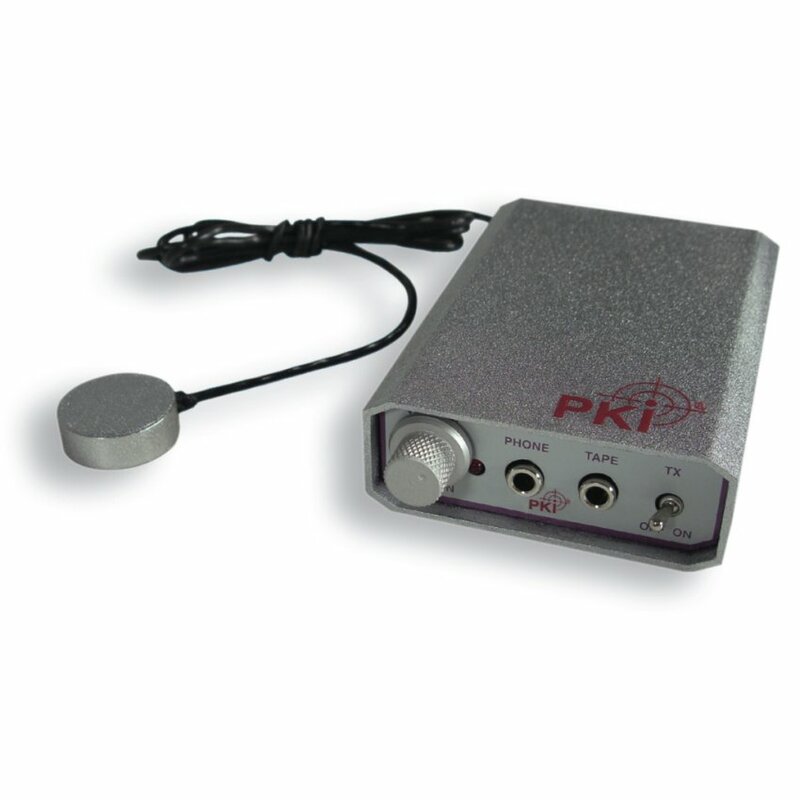 By means of the professional amplifier, and in combination with the highly sensitive contact microphone, conversations and/or noises can be heard through walls, windows or any other solid material. Simply fix the contact microphone by the supplied mastix-material to the best possible surface and listen by means of the electronic amplifier and the supplied headphone directly into the observed room. The amplifier of course is equipped with volume control and output socket for a recorder.